See below for directions on how to buy U.S. Open tickets. Every June the U.S. Open travels to an iconic golf course in the States to have the best golfers in the world duke it out in the toughest test in golf. But how can you get tickets to witness the Open in person? Unlike with the Masters, U.S. Open tickets are easy to come by, provided you have enough cash to fork over. Tickets are still available for the 2017 U.S. Open at Erin Hills, which you can buy on the USGA's official website. There are many purchase options available. You can buy a Gallery Weekly Ticket Package for $450, which gets you access to the grounds all week long, June 12-18. The next step down is the Gallery Championship Round Ticket Package ($400) which allows you to attend all four rounds at Erin Hills. After that, you can buy individual passes for both practice rounds and championship rounds. First round tickets for Thursday June 15 will run you $110, while tickets for Friday's second round and Sunday's final round tick up to $125 each. Individual tickets for Saturday are already sold out, though you can find them at various third-party ticket sites like Stubhub.com. If you have some extra money to spare, you can enhance your experience by buying the more expensive Trophy Club passes. According the official site, "The Trophy Club is an air-conditioned pavilion offering comfortable seating, live network coverage of the championship in a sports bar-like setting, access to executive restroom facilities and a wide variety of food and beverage options may be purchased at an additional charge." The Championship Rounds Trophy Club package costs $625. The top-tier ticket level is the 1895 Club: "Experience the history, tradition and excitement of the U.S. Open each day in the comfortable, air-conditioned surroundings of the 1895 Club. Enjoy the convenience of an all-inclusive ticket option featuring breakfast, buffet lunch with hot entrees, afternoon snacks and full bar service. Inside, this exclusive ticket option offers unlimited food and beverages, ample seating, access to executive restroom facilities and live broadcast coverage of the championship in a clubhouse-like setting celebrating the magical moments from 116 years of the U.S. Open Championship. It is the perfect place to relax and dine with your favorite foursome or entertain clients without missing any of the action." Unfortunately 1895 Club tickets are all sold out, except for individual practice rounds ($250). Too late to plan a rip to Erin Hills? 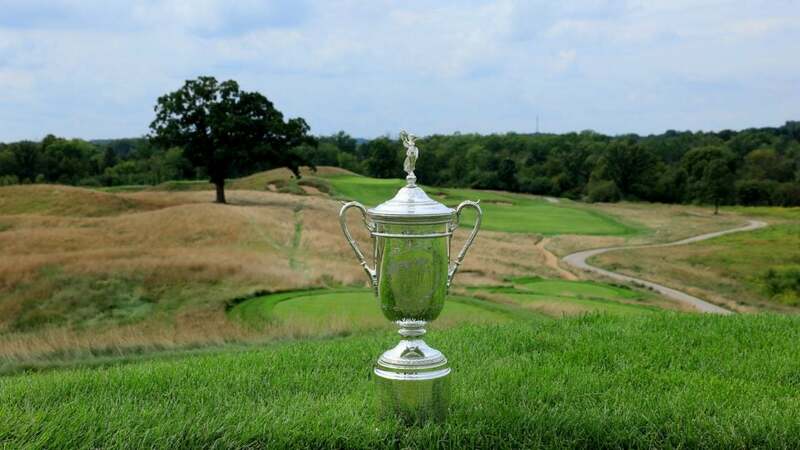 Don't worry, you can already buy tickets for next year's U.S. Open at Shinnecock Hills on Long Island here.